Sunday the 24th June dawned clear and crisp at Bondi. 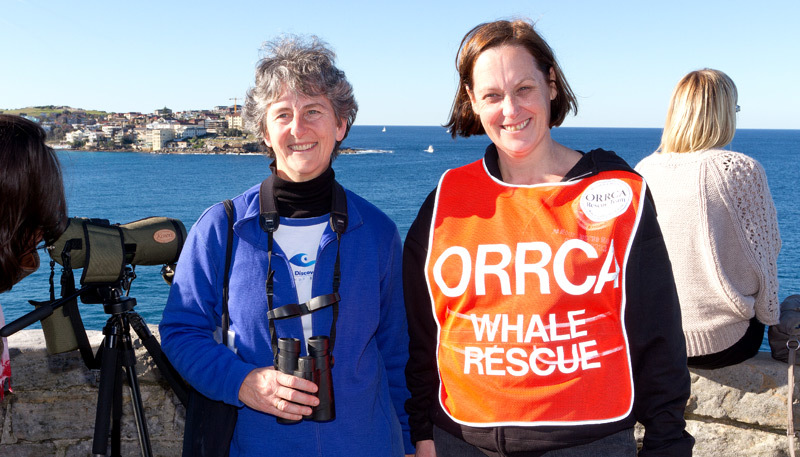 A cold south westerly kept us all rugged up but apart from that it was perfect whale watching conditions. 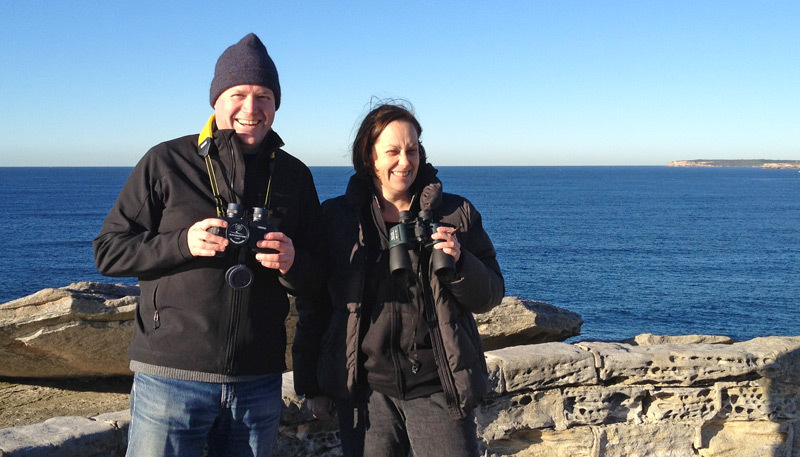 I joined Shona Lorigan from ORRCA and our first pod of Humpbacks were sighted at 7.30am a few kilometres out to sea. Over the next few hours our tally slowly grew so by lunch we had close to 20 Humpbacks recorded. 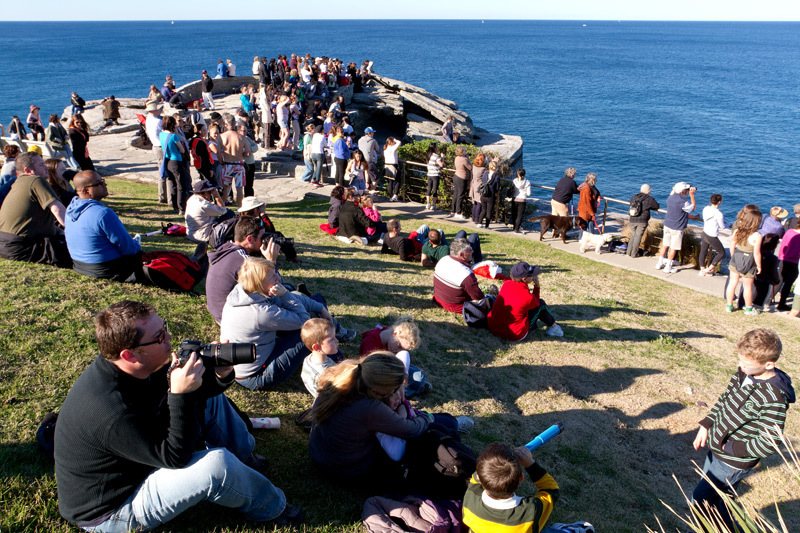 A constant stream of joggers and walkers visited our look little lookout at the tip of Marks Park, which is one the coastal walking track between Bondi and Tamarama. It’s always a delight to see the excitement on someone’s face when you tell them that your whale watching and can show them a pod cruising past. 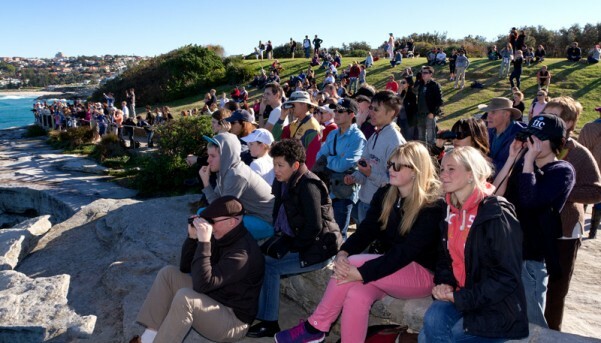 The Bondi Whale Festival was in full swing at the Bondi Pavilion during the day. At lunch Shona gave a whale talk to over 150 people with the Marine Discovery Centre and then they led the group out to Marks Park to watch three pods that were passing. All in all it was a fantastic day, lots of great conversations about whales and delighted first time whale watchers. Bondi – 31 Humpback Whales and 20+ Dolphins. Australia Wide 417 Whales (as of 3pm, 24th June 2012).